The Black Series brings you a realistically detailed, movie-accurate reproduction of Poe Dameron's X-Wing pilot helmet! 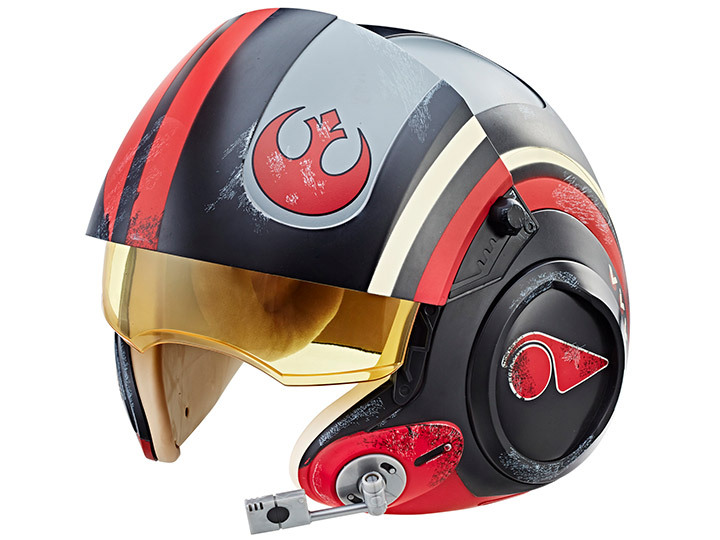 This 1/1 scale wearable electronic helmet features an internal microphone that activates an immersive surround sound experience, with X-Wing aerial battle sounds and imperative operation communications from BB-8! Requires 3 AA batteries; not included.